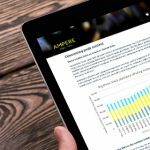 In anticipation of TiVo’s soon-to-release 2019 Video Trends Report, the company recently presented a webinar with Ampere Analysis focused on key technology considerations for pay-TV operators wishing to stay ahead in an increasingly competitive video landscape. 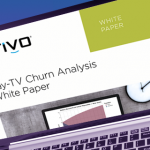 The webinar was based on a white paper analyzing findings from TiVo and Ampere’s survey of 26,000 individuals in 12 global markets about pay-TV, SVOD and voice control devices. Moderated by report co-author Rob Ambrose, the session featured executives from TDS Telecom, Ampere and TiVo discussing key takeaways from the white paper, participating in a panel-style discussion, providing valuable perspectives and examining a real-world case study. You can also download the related white paper, “Navigating Content Chaos,” the case for elegant, aggregated program guides.